Classical music you can Touch! Sheila Jaffé was born into a musical family in Montreal, Canada. She grew up in south Florida, where she was initiated to the violin at the age of six by her grandmother, a music teacher from northern Quebec. Four years later, she began taking lessons from Sergiu Schwartz, then violin professor at the Harid Conservatory in Boca Raton. During that time she was concertmaster of the Florida Youth Orchestra and participated in chamber music, voice and piano courses at Harid Conservatory’s preparatory school. At thirteen, she left home to return to Quebec and study with Catherine Dallaire at the Conservatoire de Musique du Québec, where she stayed for two years and began to participate in regional and national competitions in which she won many first prizes and scholarships. After finishing high school in Montreal, she was accepted with scholarship into an accelerated program at the University of Montreal where she obtained her Bachelor’s degree in 2010. Through that time she participated in numerous chamber music projects with students and professionals in and outside of the university and held the concertmaster position in the school’s orchestra as well as working with many orchestras in and around Montreal, including the Montreal Symphony Orchestra. 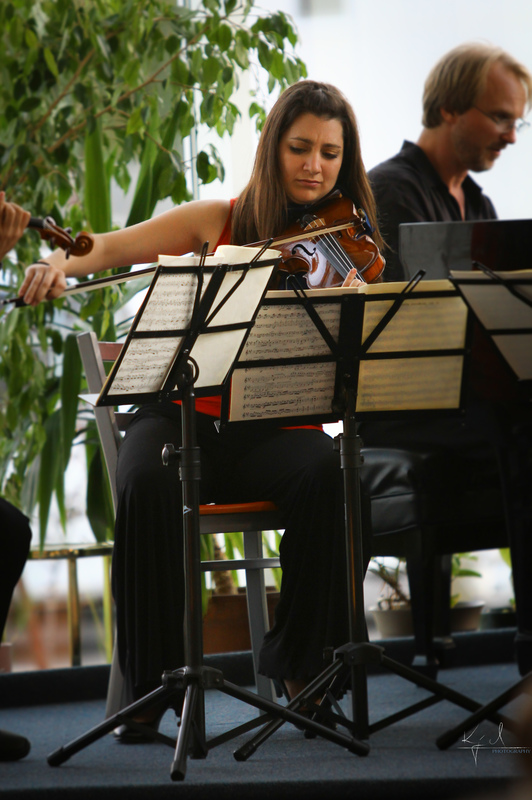 She also has performed and participated in many festivals including Domaine Forget in Quebec, Valhalla Summer Music in British Colombia, Toronto Summer Music Festival, New York String Orchestra Seminar, Schleswig-Holstein Musik Festival, International Musicians Seminar at Prussia Cove in England and Aurora in Sweden. Her upcoming projects include the Open Chamber Music program at Prussia Cove, a solo recital in Montreal, a chamber recital with Ian Swenson, Matt Haimovitz and Douglas McNabney and performing the Tchaikovsky concerto with the Philharmonie Jeunesse de Montréal. Sheila plays on a Francesco Gobetti violin (1710-15)generously loaned to her by Canimex.